Delicious Drip: Suffocation (LC! Remix). | Pulp and Circumstance, Juiced. Delicious Drip: Suffocation (LC! Remix). I’ll be perfectly honest here. I’d never ever even heard of White Ring and would never have heard this track if it wasn’t remixed by one of my favourite bands, Los Campesinos! Both bands represent almost polar opposites on the indie scale, on one hand LC! are traditionally sugary caffeinated twee pop and on the other, White Ring are all dark whispers, creaky doors and brooding fuzz. LC! have certainly been lyrically and musically darkening (maturing?) over the last few albums and their remix of “Suffocation” definitely places them splat in the middle. Ghostly, fuzzy, a little creepy but nicely countered with a warm melodic synth that lets you know everything is going to be just fine. And it’s damn fine. 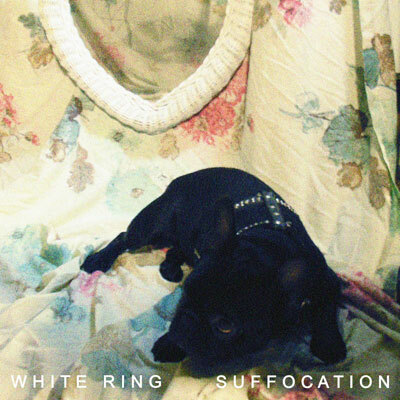 This entry was posted in Delicious Drip, tlau and tagged los campesinos, white ring. Bookmark the permalink.